We are leading Manufacturer, Supplier, & Exporter of "D" Punch bags. It is a single hang hole. These bags are especially useful in the fashion sector, as they are best for packing light weight materials. 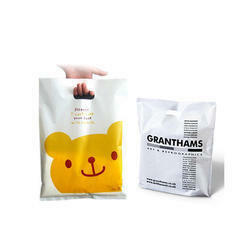 Being a well-distinguished company in the market, we are into offering D Cut Plastic Bag. We have been counted amongst the most trusted names in this domain, engaged in providing D Cut Bag. Our company has created a niche in the field of offering D Cut Carry Bag. Backed by the profound experience of the market, we have been able to offer an assortment of D-Cut Carry Bags. The bags we offer are designed and made as per the guidance of experienced quality inspectors in tandem with international norms. Our company is one of the leading D-Cut Carry Bags. We are manufacturing these bags using high grade raw material sourced from a reliable vendor in the market. Products being offered are high in quality and are knitted well to ensure long life. 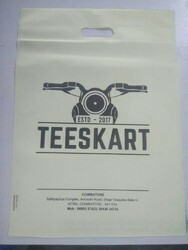 These bags are exclusively designed and are fit for carrying in various shopping malls and many other markets.